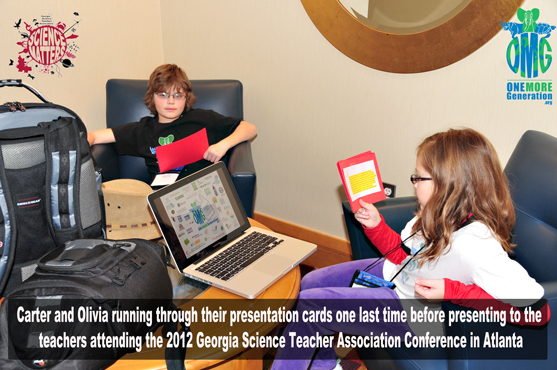 GSTA is a non-profit organization that seeks to help expand the levels of student achievement. They are the premier organization for sharing best practices in science education in the state of Georgia. Their primary means of networking and collaboration occurs each year at the annual conference. Use science processes and skills. Design scientific investigations, collect and analyze data, and draw conclusions. Articulate relationships between classroom science and real world problems and issues. 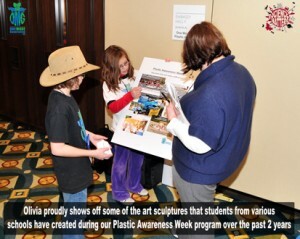 The Plastic Awareness Week curriculum was designed by teachers (with Carter and Olivia’s guidance) to address each of these teaching practices while affording the student the opportunity to learn about the issues of Plastic Pollution. Purpose: The purpose is to provide factual information about the all types of plastic pollution we create here in America and to suggest simple changes each one of us can incorporate into our daily lives which will have an immediate impact on our environment. If you would like to learn more about our program, please send us an email or give us a call and we will gladly help answer all your questions. 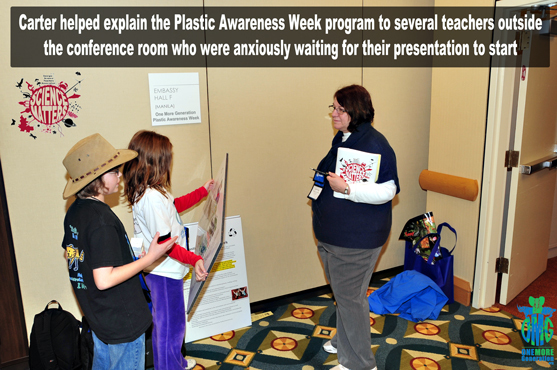 We wish to thank all the attendees at the GSTA Conference for attending our workshop. 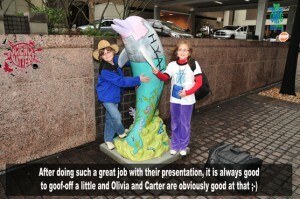 Olivia and Carter look forward to working with your schools.